KABUL, Afghanistan — This week's deadly attack on senior Afghan officials underlined the profound challenges the violence-wracked country faces as it heads to the polls on Saturday. The Taliban claimed responsibility for the incident, providing photographs of the alleged attacker who they say contacted them months ago. 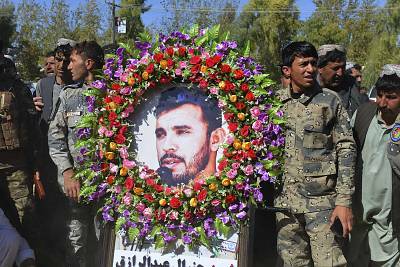 Raziq's death was a blow to those seeking to beat back the militants and stand up to neighboring Pakistan, which has long been accused of meddling in Afghan affairs. 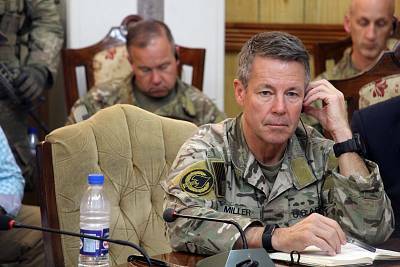 A Taliban spokesman told NBC News that Miller was among the targets in the Thursday attack, although the general himself said he doubted that was the case. The attack contradicts claims that a degree of stability has been reached in Afghanistan after four decades of violence, said Aaditya Dave, an analyst with British think tank the Royal United Services Institute (RUSI). He added the incident raises questions aboutthe viability of parliamentary elections scheduled for Saturday — the country's third since the Taliban were ousted by the U.S.-backed invasion in 2001. 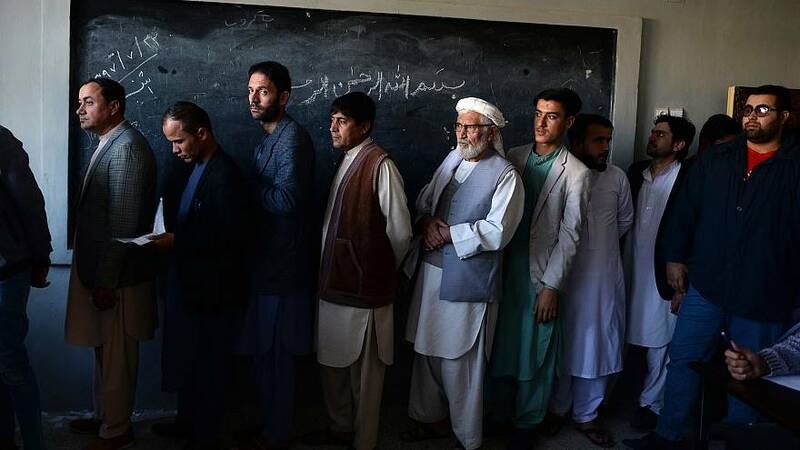 Voting will be postponed for a week in the province of Kandahar as a result of the attack, said Haroon Chakhansuri, a spokesperson for President Ashraf Ghani. Miller, the American general who survived the attack, encouraged Afghan to head to the polls. "My message to the people of Afghanistan has been very consistent. You have every right to be proud of your security forces and the preparations they've made for this election," he said on local television. "Many of the initiatives have been directed by presumptions that the government and the U.S. position is a lot stronger than it actually is on the ground,"he said. "Maybe that will be recalibrated."